Have you already heard about PC Master race? Well, House Panda is a full grade above that. Because they’re dealing with Artificial Intelligence (AI) and super computers… And guess who’s incubating their project? The inventor of the GPU (Graphics Processing Unit) who supplies over 70% of the market: NVIDIA, through their Inception Program. So basically, the project aims at building one of the most powerful supercomputer in the world (it’s expected to become No. 17 – No. 3). And this device will offer a search engine and roboadvisor, for real estate. In addition to calculating future prices of every apartment or house, worldwide, in real time, it will calculate prices of cryptocurrencies and stocks. And it’ll mine cryptocurrencies in idle time… They made a quick calculation, just for fun. And if they direct their full processing power to mining Monero (which won’t be the case), they’d be making about 23 million USD in profit per month… Sounds good, right? While I know what the HPT tokens will be used for, I couldn’t find much detail about the token itself. So I don’t know what blockchain they’ll choose. And I don’t know how many tokens will be issued. Just that they’ll mine 100,000,000 HPT tokens before their ICO. Users will be able to use HPT to purchase subscriptions to the supercomputer, search engine and roboadvisor. And HPT holders will earn up to 50% of cryptocurrency mining income of the supercomputer, paid monthly. How to get the free HPT tokens? Simple as pie, you just need to ask their Telegram bot HERE, to take part in House Panda’s 250,000 HPT airdrop. So you need to download Telegram on your device and register an account beforehand, of course. Claim your free HPT tokens! Many of the readers didn’t get the tokens. Because they didn’t actually claim them… So don’t forget to use the command /claim after contacting the bot. Otherwise, you’ll just have said hello to the bot… Without claiming your tokens. Don’t forget to keep your claim code SECRET and SAFE! Also, if you want to get more free HPT tokens, you can use your referral link to invite your family and friends. And for every 10 HPT tokens claimed by a friend, you’ll also earn 10 HPT tokens. So that’s a sweet deal. And you really should share your link with as many people as possible! 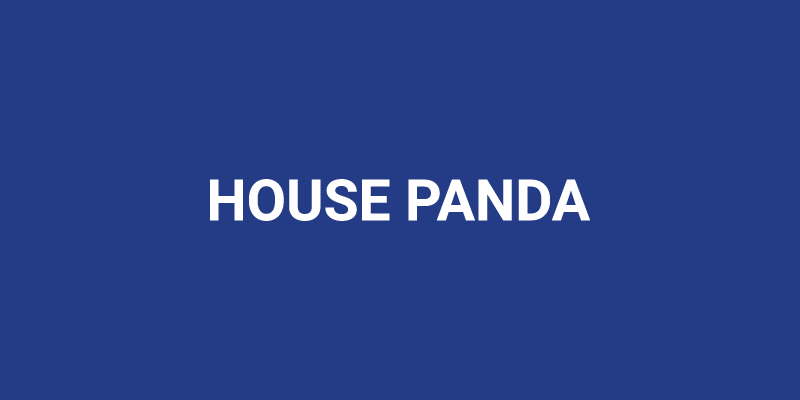 House Panda is using artificial intelligence to predict the world’s real estate prices one house at a time. And soon stock prices and cryptocurrency prices too! Also, they're giving away free HPT tokens. So get yours now!